2 Step Aluminum Step Stand, 20" Height, Bolt Together (Knock Down), Aluminum. 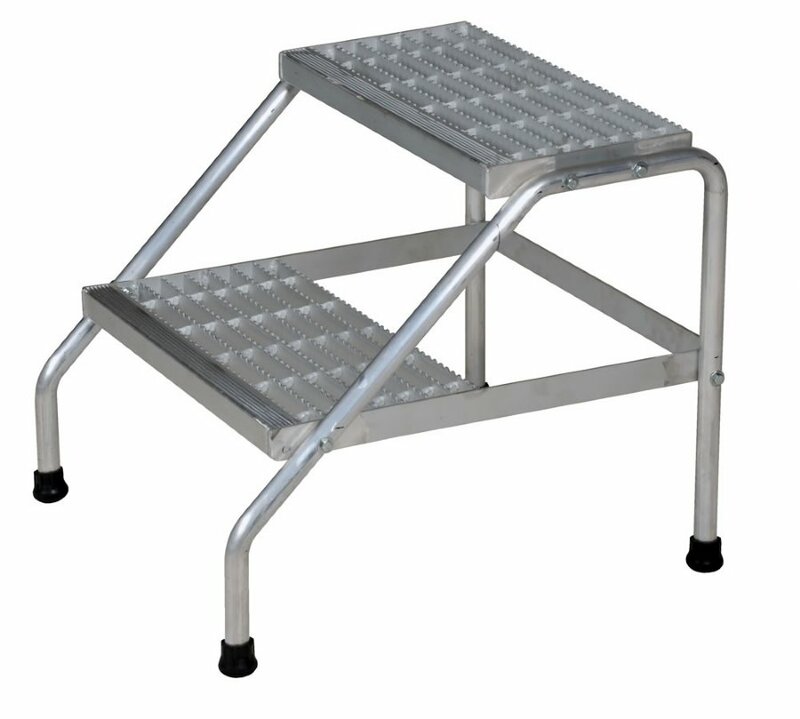 2 Step Knock Down Aluminum Step Stand is Ideal for industrial or commercial applications. It is lighter than comparable steel models. Open step design includes extra heavy duty serrated surface for traction. With rubber tipped legs, this step ladder is perfect for use on many types floors. Strong design yields a capacity of 500 lbs. Comments: Easy to assemble very sturdy worked great for the application we used them in.